We recently participated in MediaplanetUSA’s “Manufacturing in America” campaign where industry professionals and associations came together to advocate for manufacturing companies to invest in the American workforce — highlighting the benefits of advancing the recruiting, training and implementation process within this economic sector to develop a new labor force which will continue to revolutionize and advance the supply chain process. The campaign was distributed within the centerfold of USA Today on September 25 and is published on a Mediaplanet original site. Visit the site to learn more and read our article. A new generation of cloud-based transportation management platforms is enabling small and medium-sized businesses (SMBs) to capture the cost and productivity gains associated with large freight management systems. SMBs can now achieve logistics performance levels that were unimaginable only a few years ago. 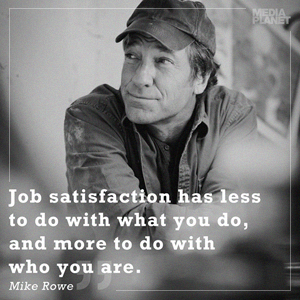 PS - Mike Rowe was on the cover! Updates from our blog, delivered to your inbox.